He’s riding on a donkey! The king is coming to us! Hosanna! Hosanna! Hosanna in the highest heaven! Jesus, our Lord, we shout hosannas to praise you. With eager hands, we place our cloaks and palms on the path before you. Yet, Lord, we confess that the mouths that seek to praise you often deny or defy you. And we confess that the hands that seek to serve you often become fists. Lord, hear us as we confess our wrongs. The Peace of Christ is with you! and the power and the glory, forever. Amen. As we enter into this Holy Week, we thank you for the abundant mercy you show, as you invite us again to follow Jesus on the road to the cross. Accept these our gifts as our protest against the ways we have not followed Christ in the past and as our expression of hope that we may renew our walk of faith in the days to come. This we ask through Christ Jesus, our Lord. Amen. Participants in Today’s Service: Pastor: John Hilley; Liturgists: Liz Beatty; Music Director: Nate Strasser; Musicians: the Choir; Elder of the Day: Brian McGuire. This Week in Children's Worship: This sixth Sunday in Lent, we are celebrating Palm Sunday and giving thanks for all the blessings Jesus brings to our lives! Hosanna! This Week in UPWARDS: This month we are in the season of Lent and are focusing on God's Grace. 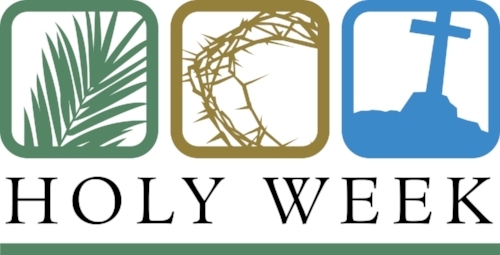 This Sunday, we celebrate Palm Sunday and look forward to Holy Week. Join us as we make a Holy week calendar and explore the events leading up to Easter! To Our Guests: We offer education and fellowship opportunities in the mornings and evenings for children, youth and adults. Please see the calendar of events for dates and times. Be sure to complete a yellow contact card if you wish to receive future communications from EBPC. Friday, April 6th: Presbyterian Women will meet at the church at 9:30 am. 7 p.m. Contemplative service to remember Jesus' final hours. To help you plan your Easter festivities, here is our schedule of events at EBPC. We invite you to join us for this joyous celebration! Family Photo Scavenger Hunt: Children in 3rd-5th grade will join their parents in a photo scavenger hunt throughout the church. Snap a selfie with family and friends when you find each item on the list! 9:20-9:35 am: East Egg Hunt: Come hunt for Easter treats. Locations for different age groups will be announced by our youth group! 9:35-10:00 am: Park your Easter Basket in the Carrot patch and pick up an Easter Activity Bag for worship. Enjoy refreshments and have your family photo taken with the flowering cross. Adult Learning Circle—Thursdays 9:30-10:30 a.m. Join with other adults for an hour to take a look at Parables from the Backside, based on the books by J. Ellsworth Kalas. We are examining six parables over six weeks approaching them from the point of view of a minor character or a creative retelling. Each hour is a stand-alone topic. The group is facilitated by Mary Ellen Hofstetter. As part of our year of "Getting Connected; Staying Connected" theme, periodically we will hold "Coffee and Chat" gatherings on Sunday mornings before worship. If you have been visiting with the church and would like the opportunity to learn more about EBPC, Pastor John and Liz Beatty would love for you to join them for conversation and refreshments on Sunday, April 15th from 9:00-9:45 a.m. If you would like to formally join EBPC at that time, members of our Session will be available to receive your request and act upon your desire to publicly profess your commitment to becoming a church member. If you have any questions or would like to join the church but are unable to attend this event, please contact John (jhilley@ebpctn.org) or Liz (aybeatty@comcast.net). If you have a prayer request or celebration that you would like to share, please contact Kristine Vasilevskis at team5v@att.net or (615) 403-5713. Here’s how it works: reflect on the word of the day. Then take a picture of what you see in your world that reflects this picture and share it with our EBPC community. To share your photos, share them on your Facebook page and tag us #EastBrentwoodPresbyterianChurch or #EBPC40daysofphotos.